The Concordia University Texas Tornados Men’s Soccer Camp is a 4-day event from July 17 to July 20. It is open to all 8 to 14 years old male soccer players. This camp is ideal for beginners as well as for outstanding players. Beginners will learn the fundamentals while advanced players will be able to enhance their skills. Furthermore, the program will focus on both the technical and tactical facets of the game. Check-in is at CTX Baseball field. The event will start at 8:30 AM on Day 1 and end at 4:00 PM on the Day. In essence, the whole experience will be fun but competitive. Concordia University Texas is a private, coeducational university in Austin, Texas. It is an affiliation of the Lutheran Church–Missouri Synod. The university is a member of the Concordia University System. Additionally, it is also a member of the Independent Colleges and Universities of Texas. It has an accreditation from the Southern Association of Colleges and Schools Commission on Colleges. Currently, Concordia University Texas accommodates around 1,600 undergraduate students. The student to faculty ratio is 18:1. The university has 15 athletics sports teams. They are competing in the American Southwest Conference, NCAA Division III. They call themselves the Tornados while purple and gold are the university’s identity colors. 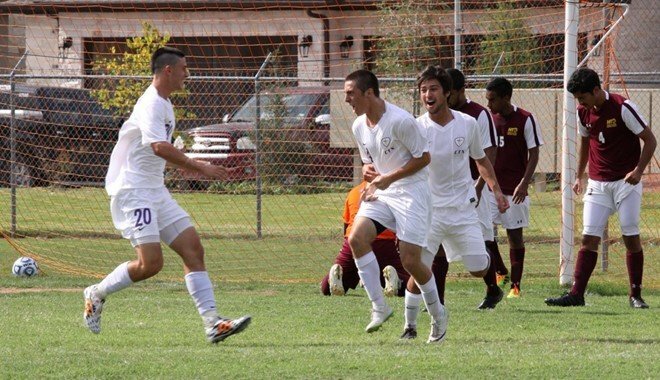 The Tornados men’s soccer team is 1st in the latest conference standings. Nick Mims is the new head coach of the Concordia Texas men’s soccer team. He is at the helm of the coaching position since May 1, . He is the former University of Houston-Victoria assistant coach. Coach Nick Mims is also a former soccer standout player. He is a former Bulldog and a member of the 2009 Missouri Valley Conference Tournament Champions. Coach Mims is a United States Soccer Federation National “D” License holder. Then, the teams assistant coaches are Kyle Duncan, Farhad Rizvi, and Jordan Wright. The Concordia University Texas Tornados Men's Soccer Camp is a 4-day event from July 17 to July 20 for 8 to 14 years old male soccer players.